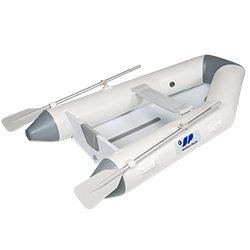 he Southern Pacifi c Shearwater is a rugged RIB designed for bigger payloads, with large diameter tubes and voluminous aluminum hull. 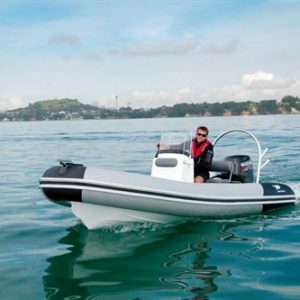 Super tough, large volume aluminium tender The Southern Pacific Shearwater is a rugged RIB designed for bigger payloads, with large diameter tubes and voluminous aluminum hull. 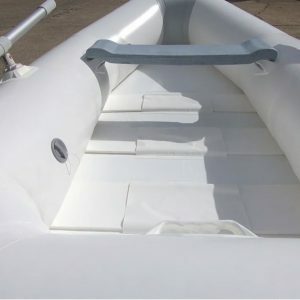 Pressed strakes strengthen the aluminium hull as well as deflecting the wake for a drier ride. Large diameter tubes are built extra tough in VALMEX® PVC. Rubstrake runs from bow to stern making the Shearwater rugged and durable and three separate air chambers in the 280, 310 and 340 provide maximum safety. A centre transom support, keel capping, deck grip and davit lifting points are standard across all 4 sizes. Fuel storage space comes standard in the three larger models. The Shearwater is the ultimate small heavy duty, RIB proudly made in New Zealand. Now also available in Airfloor. 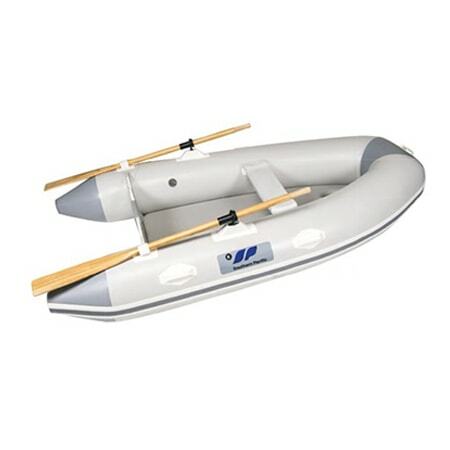 Pack down size length 2.52m 8'3"
The Southern Pacific Shearwater is a rugged RIB designed for bigger payloads, with large diameter tubes and voluminous aluminum hull. Pressed strakes strengthen the aluminium hull as well as deflecting the wake for a drier ride. Large diameter tubes are built extra tough in VALMEX® PVC. Rubstrake runs from bow to stern making the Shearwater rugged and durable and three separate air chambers in the 280, 310 and 340 provide maximum safety. A centre transom support, keel capping, deck grip and davit lifting points are standard across all 4 sizes. Fuel storage space comes standard in the three larger models. The Shearwater is the ultimate small heavy duty, RIB proudly made in New Zealand. Now also available in Airfloor.